Raspberry cough from Nirvana seeds is a sativa dominant cannabis strain with a floral aroma and purple colouration. 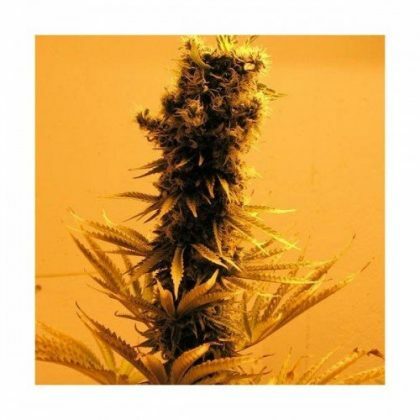 Nirvana seeds raspberry cough is ideally suited for growing indoors and will produce the highest quality medical grade marijuana for the connoisseur grower. With its clear, uppy yet calming effects, Nirvana Raspberry Cough seeds come highly recommended as a medical marijuana strain. Its mother is a Cambodian marijuana landrace with especially high THC levels, and its father is Nirvana’s award-winning marijuana strain Ice. Raspberry Cough is an F1 cross with an abundance of red hairs and a tendency to develop blue hues in cooler night/dark temperatures. Raspberry Cough’s aroma and flavour have a hint of Asian spice, yet taste decidedly of Dutch marijuana.